Mr. Hamid Y. Salih the deputy minister for gas affairs announced in Wednesday the 30th of March for the exportation of the second shipment of the C5 condensed gas “Natural Gasoline” to the Fujairah port via the tanker ship Kora. The gas quantity was 10.500 m3 for the benefit of Galaxy international company, and this quantity is a surplus out of the need of Iraq. Mr. Salih confirmed that the ministry will keep on exporting these surplus quantities successively. Mr. Assim Jihad the spokesman of the ministry said that the exportation of this type of gas is a guarantee to a new source of income to the federal budget “in addition to the crude oil”. 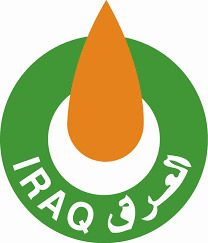 He confirmed also that the plans of the ministry was successful by achieving the best investment of the associated gas and reduce its burning with a good average, in addition to increasing the Iraqi production of gas which is currently 1100 MSCF/ day which can fill the need of the country. He said also that the national production of the liquefied gas is 5000 ton/day, and the surplus gas quantities are supposed to be exported soon. It is worthy to mention that the ministry of oil exported 10000 m3 of the Natural gasoline in the 20th of March.